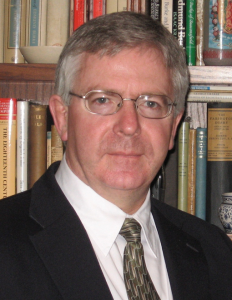 Ian Crowe is director of the Edmund Burke Society of America. He is currently an associate professor of History at Belmont Abbey College and executive editor of the journal Studies in Burke and His Time. Ian’s research interest is the career and writings of the eighteenth-century Irish politician and thinker Edmund Burke, regarded by many as the father of modern intellectual conservatism, and a figure whose thought was central to the writings of Russell Kirk. He also writes and lectures on the wider history of the development of British and American conservative thought since the French Revolution. His publications include Patriotism and Public Spirit: Edmund Burke and the Role of the Critic in Mid-18th-Century Britain (2012), An Imaginative Whig: Reassessing the Life and Thought of Edmund Burke (2005), The Enduring Edmund Burke (1997), Unwelcome Truths(1997), “The Hereditary Peerage: a Voice in and for Rural Britain” in Another Country, and a number of articles and reviews in Modern Age, The Civil War Book Review, The University Bookman, and Conference and Common Room. Currently, Ian is compiling and editing an anthology of some of Burke’s less familiar works. Provisionally entitled “Edmund Burke and the Politics of Common Sense,” this project is designed to increase awareness of the breadth and diversity of Burke’s thought among students and the wider public. Ian is concerned to make Burke’s historical and intellectual influence on conservative thought in Europe and the United States recognizable to young scholars, and it was this interest that first brought him to the Russell Kirk Center. His efforts to move Burke studies on from the ideologically driven debates of the Cold War period are also a tribute to the spirit of scholarship in which Russell Kirk, Peter Stanlis, and Francis Canavan invigorated Burke studies and ensured that Burke’s thought would remain vital and accessible to future generations. Ian studied Modern History at the University of Oxford and earned his Ph.D. in History from the University of North Carolina at Chapel Hill. Before moving to Chapel Hill, he and his wife were resident in Mecosta, where he served as program director for the Kirk Center from 2000 to 2002.